We’ve all been there. It was one of those weeks, and you just want to kick back and relax over the weekend. Our three meal suggestions from Ocadolife magazine take just 20 minutes to make: perfect for an impressive but laid-back brunch, lunch or dinner. Appearing in our seasonal Organic Veg Boxes this week, purple sprouting broccoli makes a subtly colourful addition to your plate. 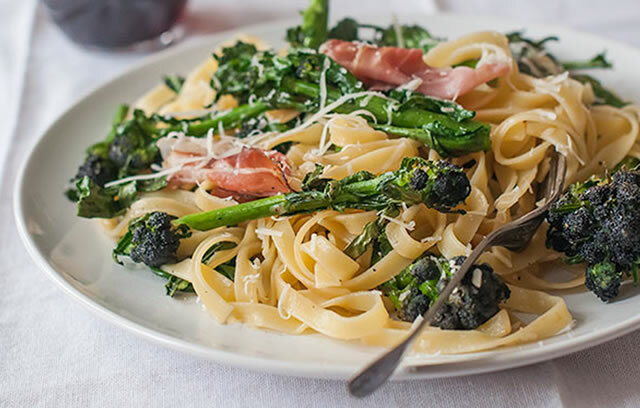 This recipe for Purple Sprouting Broccoli and Speck Tagliatelle by Natoora takes just 20 minutes to make. Why not try it for dinner this week? 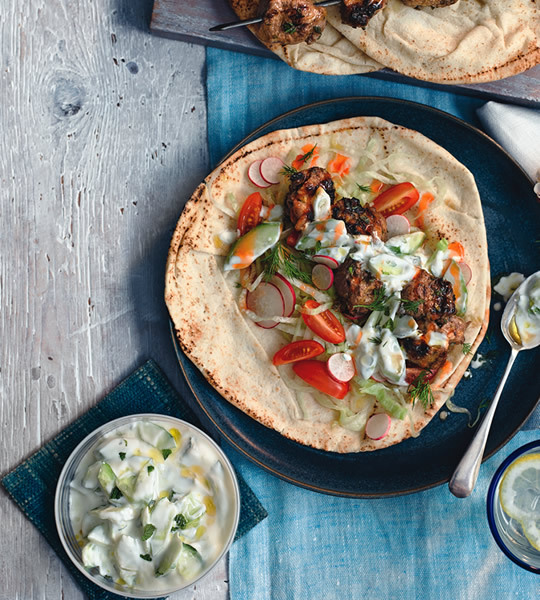 A fun meal the whole family will love, cooking and assembling lamb souvlaki with minted tzatziki only takes 20 minutes. The longest part of this recipe is the marinating, which you can also prepare overnight. YOU ATE ALL THE PIES! Sorry folks, all pie bundles have now been claimed. Keep an eye out for our next freebie – coming very soon. It’s British Pie Week this week: want the perfect pie to celebrate? We have 500 FREE Pie Week bundles to give away on your next shop. 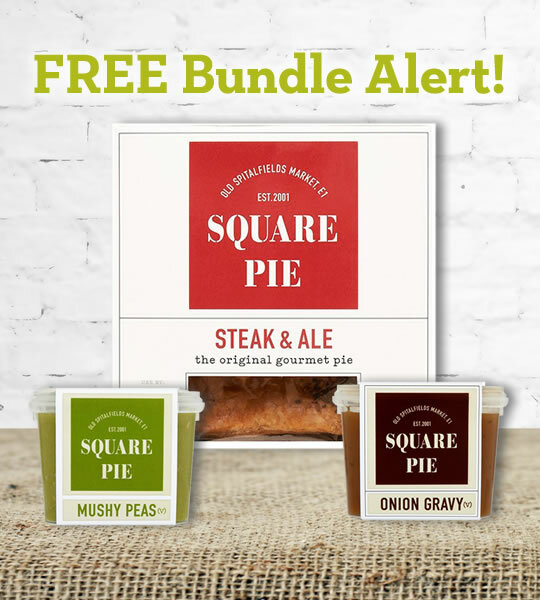 Including three gourmet Square Pie products, this bundle lets you whip up a delicious meal in minutes. High summer means late nights and long, lazy meals with your friends. This time of year, food should be simple and above all, quick to prepare. Who wants to waste a minute of sunshine in the kitchen? 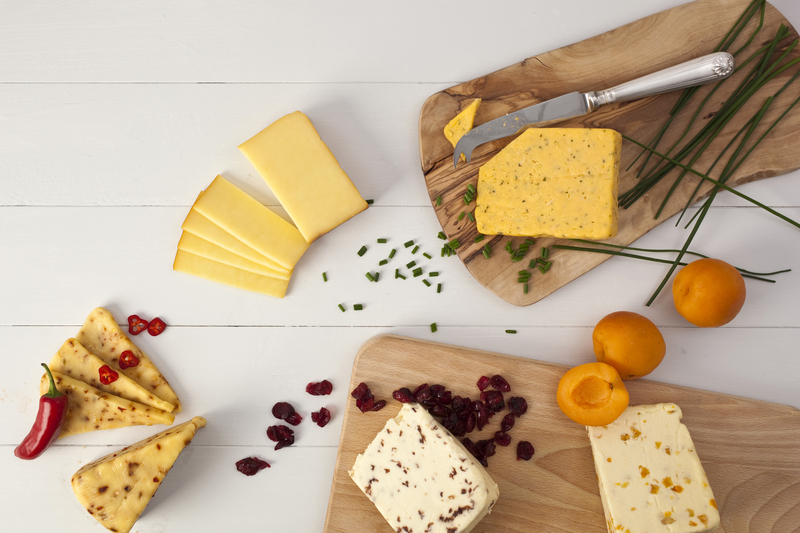 So here’s my perfect throw-together cheeseboard – enjoy at your own leisurely pace.